The Industrial Revolution, powered by oil and other fossil fuels, is spiraling into a dangerous endgame. The price of gas and food are climbing, unemployment remains high, the housing market has tanked, consumer and government debt is soaring, and the recovery is slowing. Facing the prospect of a second collapse of the global economy, humanity is desperate for a sustainable economic game plan to take us into the future. Here, Jeremy Rifkin explores how Internet technology and renewable energy are merging to create a powerful Third Industrial Revolution.  He asks us to imagine hundreds of millions of people producing their own green energy in their homes, offices, and factories, and sharing it with each other in an energy internet, just like we now create and share information online. 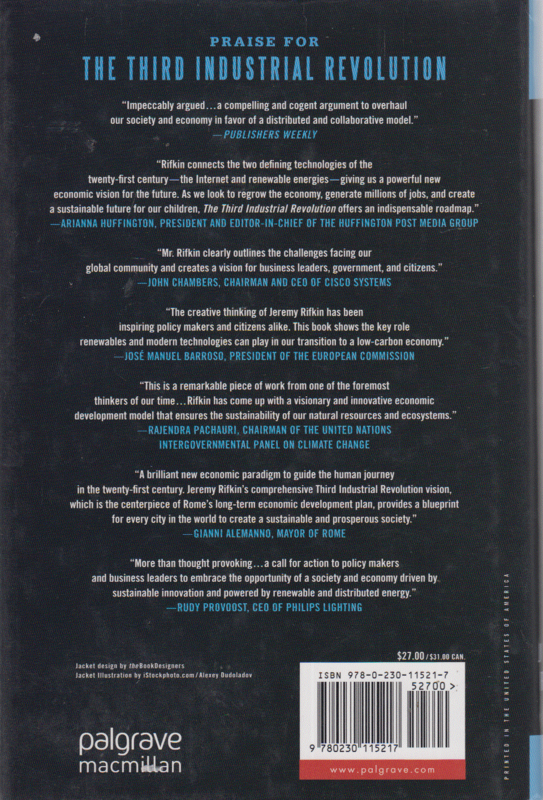 Rifkin describes how the five-pillars of the Third Industrial Revolution will create thousands of businesses, millions of jobs, and usher in a fundamental reordering of human relationships, from hierarchical to lateral power, that will impact the way we conduct commerce, govern society, educate our children, and engage in civic life. Rifkins vision is already gaining traction in the international community. The European Union Parliament has issued a formal declaration calling for its implementation, and other nations in Asia, Africa, and the Americas, are quickly preparing their own initiatives for transitioning into the new economic paradigm. 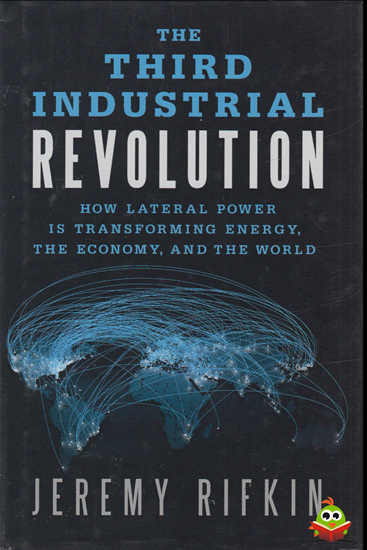 The Third Industrial Revolution is an insiders account of the next great economic era, including a look into the personalities and players  heads of state, global CEOs, social entrepreneurs, and NGOs  who are pioneering its implementation around the world. Hardcover. Randen van de stofomslag zijn iets gekreukt en heeft wat doffe plekken / krasjes. Hele lichte leessporen, niet in geschreven of gevouwen.